machine learning allows us to interpret data structures and fit that data into models to identify patterns and make predictions. 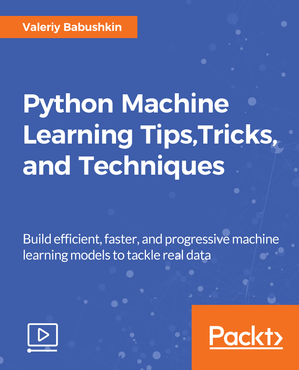 Python makes this easier with its huge set of libraries that can be easily used for machine learning. In this course, you will learn from a top Kaggle master to upgrade your Python skills with the latest advancements in Python. It is essential to keep upgrading your machine learning skills as there are immense advancements taking place every day. In this course, you will get hands-on experience of solving real problems by implementing cutting-edge techniques to significantly boost your Python Machine Learning skills and, as a consequence, achieve optimized results in almost any project you are working on. Each technique we cover is itself enough to improve your results. However; combining them together is where the real magic is. Throughout the course, you will work on real datasets to increase your expertise and keep adding new tools to your machine learning toolbox.